The same challenges for the European Union stand out again and renew themselves ahead of another crucial period for the common European project. The big problems for the EU, never completely addressed, are threatening again the unity of the Member States: the migration crisis in the Mediterranean Sea could split the EU, also considering the stance of the new Italian government; and despite the economic recovery, the European Central Bank (Ecb) decision to end quantitative easing by December could cause some problems to some Eurozone Member countries. Ending Ecb’s stimulus programs could be a good new for Germany, but investors in Italian debt market might not agree with that. The Ecb, since 2015, is boosting the Eurozone money supply, currently by buying 30 billion euro of assets each month; but this will be reduced to 15 billion euro a month after September, before ending completely at the end of 2018. Only few years after the Eurozone emerged from a crisis that nearly destroyed it, the Central Bank is in effect declaring the region strong enough to stand on its own. But it’s an awkward time to take risks and many economists aren’t so sure of the positive trends: for years the Central Bank unleashed a wave of cash to stimulate growth, effectively saving Europe from the consequences of its debt crisis. 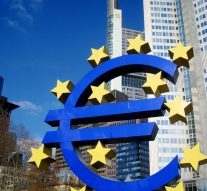 In Riga, on the 14th of June,The Ecb’s president Mario Draghi announced that the era of easy money is over, and outlined plans to completely remove its support by December. Draghi tried not to rush, being aware of the fact that in countries like Italy many businesses have avoided bankruptcy only because of the low interest rates and “tolerant” banks. According to some economists, a rise in interest rates could prompt a mass collapse of those weak companies. But on the other hand, the pressures coming from other North European Member States were strongly directed toward the end of this external stimulus programs. Ecb was in a tricky position: if it keeps buying bonds, it can be accused of facilitating Italy; if it stops, market expectations of rate increases will significantly increase bond yields and investors may worry about Italy’s ability to service its debt. Furthermore, all this is happening while trade relations with the United States are at their poorest level in many years, and most likely things will get worse for Europe because of US president Trump’s tariffs on steel and aluminum. A part from EU-US relations, monetary policy decisions and the migration crisis seem to put Member States in Europe one against another, feeding dangerously the populist sentiment in the public opinion. For this reasons, all this crucial issues should be dealt openly in the proper forum, starting from the European Council, at the end of June. Each country could have legitimate national interests to defend, but in the end the EU should be able to find a compromise, otherwise the common project will inevitably scale down its potentiality instead of expanding it.